Queenstown is a snow lover's paradise with several fields on our doorstep and an intoxicating après ski culture. Off the slopes, an abundance of activities, inspiring scenery and warm hospitality combine to offer something special for everyone. Coronet Peak, the South Island’s most popular mountain resort is Queentown's original ski area and is just 25 minutes from the centre of Queenstown. It has a reputation for some of the best and most varied terrain in Australasia. Willowbrook Ski accommodation in Queenstown is situated in a rural country setting near the base of the Coronet Peak access road & comprises some brand new Studio units along with a farmhouse built in 1914 and several outhouse accommodations. The former Shearers Quarters have been rebuilt as a stand alone Cottage and a Hay Barn fully renovated allowing Willowbrook to offer varied styles of ski lodging. Across the large valley from Willowbrook, (known as the Wakatipu Basin) lies The Remarkables, Queenstown's true alpine ski area. Here the emphasis is very definitely on joining in and having fun, especially if you're a beginner, intermediate or looking for serious adrenaline. The Remarkables field enjoys three sunny sheltered bowls framed by the towering peaks of The Remarkables Ranges overlooking Queenstown. 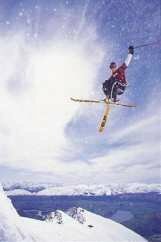 Willowbrook Queenstown Country Apartment accommodation is within easy reach of 5 ski fields: Coronet Peak, The Remarkables, Treble Cone, Cardrona and the Snow Farm specilising in cross country skiing. 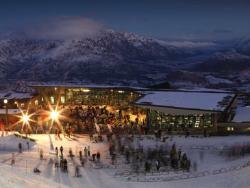 Night Skiing and First Tracks mean Coronet Peak offers longer on-snow hours than any other area in the country.